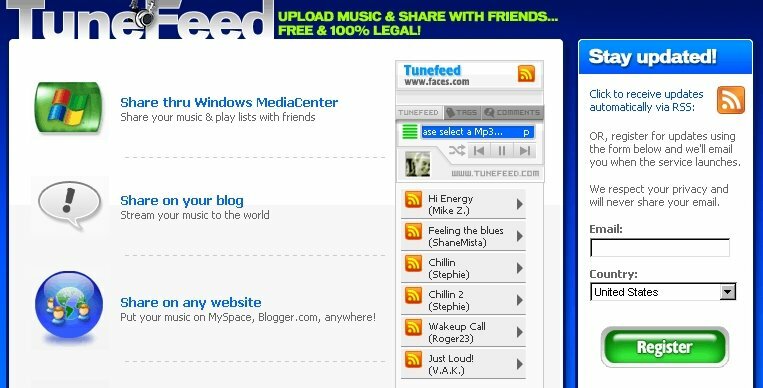 Tunefeed is a music sharing site. 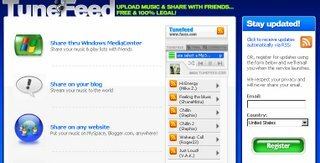 You can upload and share your MP3 with other people, and you can play music on your website. It is a beta, so just leave your email there.